New network of digital OOH sites features content provided by Campaign. Campaign is among the launch partners for JCDecaux's LDN Drive – a London-wide digital billboard network – that launches across 68 screens in the capital today (28 January). 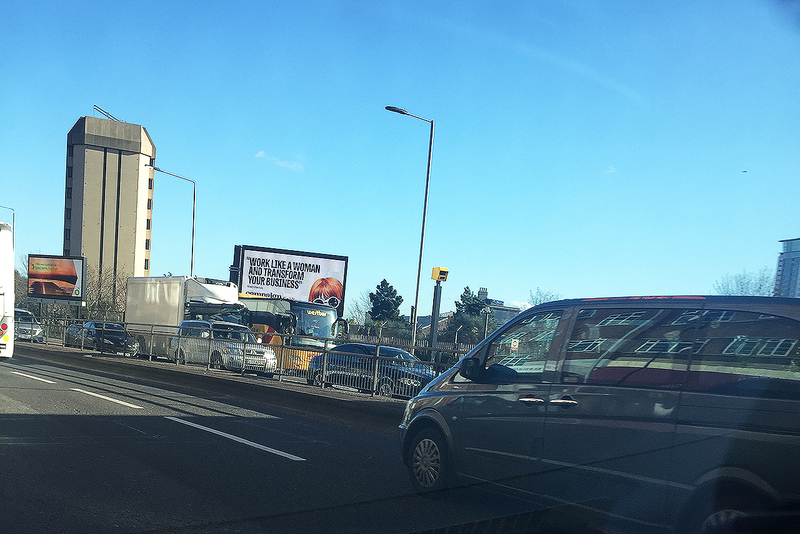 With digital screens set in key driving routes, such as the Marylebone Flyover and Whitechapel Road, LDN Drive is set to reach 60 million impressions across 29 London boroughs in a two-week period. The screens will feature the latest advertising, brand and media news headlines from Campaign's print publication and website. Claire Beale, Campaign’s global editor-in-chief, said: "Campaign now delivers content across many platforms, so why not JCDecaux’s new showcase digital screens? "The power of the medium is a great partner for the impact of a brilliant Campaign headline or provocation, and together they’ll deliver our audiences a standout piece of content every day." Powered by the Drive mobile data set, each channel can be tailored to deliver the right ad to the right customer at the right time and place. The launch of LDN Drive follows JCDecaux’s investment in 750 digital bus-shelter screens in London, providing advertisers with an exceptional combination of impact, reach and activation at the point of sale. Dallas Wiles, chief commercial officer at JCDecaux, added: "LDN Drive delivers the brand-building brand fame that clients need and now, with our partnership with Campaign magazine, it brings Londoners the latest headlines from the world of media and advertising too. "LDN Drive offers the best of both worlds, it’s broadcast and addressable, with a data set that optimises the digital creative and targeting opportunities for our clients. I’m delighted that our launch advertisers reflect London so well – as a business and entrepreneurial hub, for world-class entertainment and for brand-first news." Disney Theatrical Productions and Esme Loans are other launch partners for LDN Drive. Veronika Lovett, chief marketing officer at Esme, commenting: "London is a hub of entrepreneurial expertise, so we’re delighted to be a launch partner for LDN Drive, bringing our business loans to SMEs across the capital."